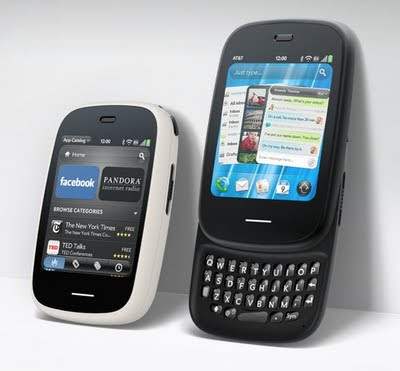 HP's new tiny webOS smartphone, the Veer, is now available from AT&T here in the United States. For anyone who wants a smartphone that packs the features they crave without the extra size they don't, HP has introduced the powerfully small HP Veer smartphone running HP webOS. Veer is the smallest webOS phone to date - the size of a credit card and no thicker than a deck of cards - yet it offers the higher-end features of a smartphone, such as easy messaging and access to apps, social networks and the web, including support for Adobe® Flash® Player 10.1 beta in the browser for access to rich, Flash-based web content. It has a full slide-out keyboard, vivid touchscreen and access to thousands of webOS apps in a surprisingly small, modern package that fits easily into a pocket or purse. It's everything a smartphone should be, but in a smarter size. At just 54.5 mm x 84.0 mm x 15.1 mm and only 103 grams, Veer touts an 800-MHz processor; a vivid 2.57-inch glass display; full slide-out keyboard; 8 gigabytes (GB) of internal user storage; a high-performance browser with full access to the web, including support for Adobe Flash Player 10.1 beta; Wi-Fi; integrated GPS; robust messaging support; and multimedia options, including music, photos, video recording and playback, and a 5-megapixel camera. Veer also includes HP Synergy, which is exclusive to webOS devices. Synergy brings together information from multiple sources across the web automatically, so the information you need is all in one place. 4G speeds delivered by HSPA+ with enhanced backhaul. Available in limited areas. Availability increasing with ongoing backhaul deployment. Requires 4G device and compatible data plan. Learn more at att.com/network. The black HP Veer smartphone is available today from AT&T Wireless for $99.99 with the purchase of a qualifying 2-year service agreement which includes a minimum $15/month data plan. You can also purchase the black HP Veer contract free for $449.99. For more details, visit the HP website.